In the last post of our history of The Heath House series, we learnt that from 1834 it was decided that there need to be a transformation when the throughly modern wife of John Burton Philips, Joanna Freeman Capel Cure, engaged builders & architects to modernise the house & estate. After much decision making it was decided that the original house need to be demolished to make way for a new, and very fashionable, ‘tudor’ style house just to the east of the original. With Joanna’s own additions including the tower, the new house was ready to move into in June of 1840. The orangery and stables survived the transformation and still exist today, hosting weddings and family gatherings. 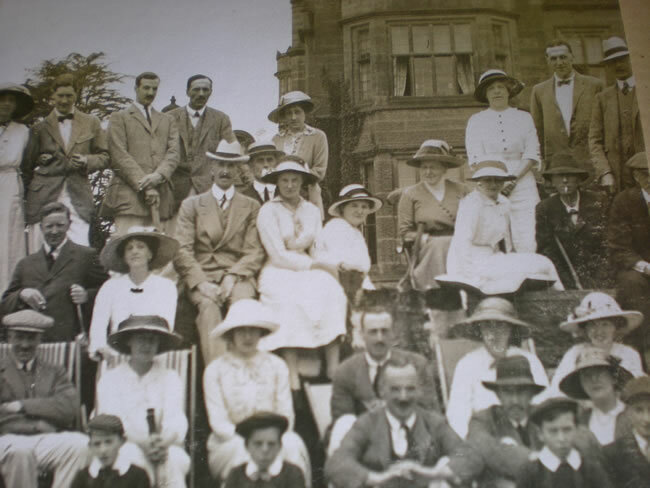 It wasn’t long before the ‘new’ Heath House was the location for gatherings and celebrations including the Nightingale family whose daughter, Florence, became so famous 24 years later during the Crimean War. During the following couple of years, the house was filled with paintings, sculptures and ornaments, brought back from travels to the continent. Much of these are still in the house, having witnessed weddings, parties and celebrations for generations.